1. If I have had treatment by another physician, should I bring any records to my JOI appointment? Yes. Any info you have regarding previous treatment for a particular problem would assist the JOI physician in his/her development of your treatment plan. Medical records, such as office notes, X-rays, and lab reports allow your JOI physician to make a more informed decision about your treatment, a well as give insight to the historical progression of your medical problem. Most physician offices will furnish medical records upon request. 2. When scheduling an appointment at one of the JOI physician office locations, do I have to have a referral from my primary care physician? Each individual healthcare plan has very specific guidelines regarding referrals to specialists. 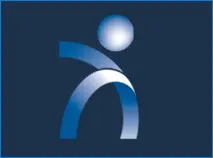 JOI currently participates in over 140 health plans. We make every effort to assist you in the procurement of insurance referrals; however, it is ultimately your responsibility to ensure a referral is provided for each physician visit. 3. What is JOI’s policy on calling in prescription refills after business hours? For your protection, JOI’s policy is that all medication refills be handled during the course of the business day when your physician has access to your chart. This allows your physician to check for drug allergies, as well as other medications you may be taking; therefore, preventing the potential for drug interaction. However, there are exceptions that may require a prescription to be called in after business hours – perhaps for surgery patients. You are encouraged to monitor your medical supply and allow a minimum of 24-hours for prescription refills to be called into the appropriate pharmacy. 1. Why was I charged for “surgery” when my diagnosis was for a fracture? The two most common types of fracture treatment are “open” treatment and “closed” treatment. Closed treatment – or “fracture care” – specifically means that the fracture site is not surgically open. Open treatment is used when the fracture is surgically opened and most often requires stabilization. Even though surgery may not be performed, surgical coding guidelines/global service packages apply to both treatment methods. The global service package includes a certain period of time that a patient is treated for a specific problem and the office visit charge is included in the global fee. For example, a patient that is charged Fracture Care for a wrist fracture has a global period of 90 days. During this 90-day period, a patient will be seen and/or treated for follow-up care at no additional charge. 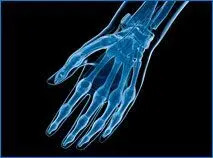 However, X-rays, medical supplies, including reapplication of cast(s), and medical equipment are not subject to the global fee package and are changed in addition to the Fracture Care. 2. What is the difference between a “new patient” charge and an “established” patient charge? New problem? According to the American Medical Association’s current procedural terminology (CPT) guidelines, or codes, a “new patient” visit is defined as a patient who has not received any professional services from the physician, or another physician of the same specialty who belongs to the same group practice within the past three years. An “established patient” or “new problem” is defined as a patient who has received professional services from the physician or another physician of the same specialty who belongs to the same group practice within the past three years; however, for a different medical problem that was treated previously. 3. When I receive a bill from JOI, why does the balance vary with each statement? 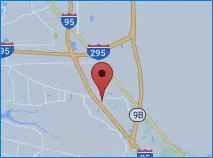 JOI is pleased to submit claims to carriers (insurance companies, managed care organizations, HMO’s, etc.) that we contract with. 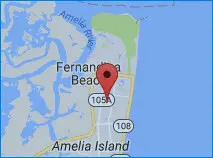 You are expected to pay their office visit co-pay (usually $10-20) at the time of service. Patients will not receive a billing statement unless a balance is due. If you are responsible to pay a portion of the balance, a statement will be sent showing: the amount the insurance company was billed; what the insurance company paid; and what amount you owe (“New Balance Pay This Amount”). When you have had multiple dates of service (office visits, surgery, tests, etc. ), we send multiple claims to the insurance company. As the insurance company processes the claims for these dates of service, the amount due from the patient may change according to your co-pay or deductible. 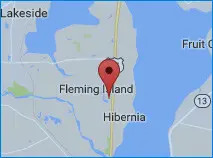 Therefore, it is possible to receive statements showing different amounts due. 1. How does JOI handle employee recruitment? We utilize “word of mouth”, employment agencies, as well as list them on this website under “Jobs“. Your resume needs to include work experience, work history, salary requirements, and at least three personal references. 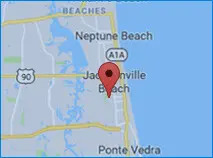 JOI Rehab Centers accept applications at all 11 Centers for our clinics. 1. If I have primary or secondary insurance coverage, why doesn’t the secondary carrier pay my co-pays? Most often secondary insurance carriers will not pay an account balance until you have met the required deductible and paid the applicable office co-pay. Office visit co-pays are your responsibility and are often contractually required by HMO plans. However, you may want to check with your secondary insurance carrier regarding their specific policy for dealing with primary insurance deductible amounts. 2. Why does JOI charge patients a fee for the completion of medical forms (i.e. : short-term and long-term disability forms) required by disability insurance companies for loan payments, mortgage payments, car payments, etc? JOI recognizes the importance of these forms being completed so that loan payments are paid during the time of your disability. However, the completion of these forms do not fall within the scope of the your actual medical care. Additional staff and resources are utilized, so this fee is a way of off-setting these additional expenses. 3. Why do insurance companies delay processing my claim until they receive accident information from me? When your claim is being processed for an injury that possibly resulted from an accident, most insurance carriers would write you and request accident details. This information is needed to assess the insurance carrier’s liability. If your injury is the result of an automobile accident, the health carrier would not be responsible for processing the claim, but rather the auto insurance carrier. Also, if you are injured in a business establishment, whether it is a work-related or a slip-and-fall, again the health insurance carrier may not be responsible for the claim. This is why it is very important to respond to your insurance carrier’s request for accident details in order that the claims be evaluated and processed in a timely manner. 4. I had an on-the-job injury, and when I called to schedule my appointment, I was told the Workers’ Compensation Adjuster or my employer would have to arrange my appointment. Why is this a JOI policy? All Workers’ Comp appointments must be authorized by a Workers’ Comp Adjuster or the employer prior to an appointment being scheduled for an injured employee/patient. 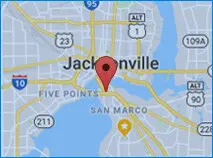 When the adjuster or employer calls, we set up a Workers’ Comp account, collect the billing/insurance information, and receive authorization for JOI to treat you. In most cases, the injured employee/patient does not have access to this information; therefore, requiring the adjuster or employer to schedule the appointment on your behalf. 1. What website addresses would you suggest to access more general medical information? There are many websites available to consumers. Please find several listed below you might want to explore. 2. What is a drug formulary? A drug formulary is a list of prescribed medications, both name brand and generic products, which the insurance carrier agreed to cover the cost. Most insurance carriers have a drug formulary, and the list is updated on a regular basis. If your doctor prescribes a medication that is not on your carrier’s formulary, more than likely, you will be required to pay out-of-pocket for the prescription, unless authorized prior to the prescription being filled. Ergonomics is a defined study of work. It is the science of designing a job to fit a particular worker/employee, rather than physically forcing the employee’s body to fit the job. Ergonomics incorporates a number of scientific principles which include physiology, biomechanics, and psychology to establish distinctive work standards for employees. By studying the tasks that are required to perform a specific job and adapting the work station, tools and equipment required for that job, one can significantly reduce the potential for work-related musculoskeletal disorders, such as carpal tunnel syndrome, tendinitis, and back injuries. The most common types of work that are most likely to pose ergonomic hazards are manual labor, manufacturing and production work, heavy lifting, twisting movements, and those requiring long hours of working in awkward positions. 4. What is the difference between a sprain and a fracture? A sprain is an injury to the ligaments and soft tissue surrounding a joint. A fracture is an actual break in a bone. Sprained ligaments are soft tissue and are not visible on X-rays; however, broken bones are hard, dense tissue which is visible on X-rays. X-rays are the best way to distinguish between a sprained ligament and a broken bone. Both injuries are usually treated with a splint or cast to immobilize the injured area to promote healing. 5. What is arthroscopic surgery? Arthroscopic surgery is a minimally invasive procedure that is performed with a surgical device called an arthroscope (camera), which is approximately the size of a pencil. 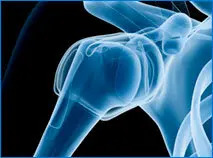 This procedure is the most commonly performed surgery in orthopaedics, and is the most frequently used to treat shoulder, knee, elbow, wrist, hip, and ankle joints. 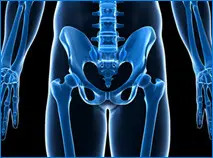 Your surgeon is available to view the inside of the joint on a video monitor where he/she can inspect, remove, repair, or reconstruct damaged parts of a joint through several small incisions of approximately one-half inch. Arthroscopic procedures are most often performed on an outpatient basis, allowing you to return home the same day. 6. What is the recommended age for a total joint replacement? The average age of patients undergoing total joint replacement is 65, and, most often, the need for this surgery is to relieve the symptoms of osteoarthritis. 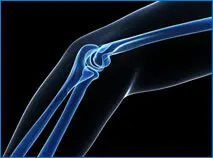 However, other conditions, such as rheumatoid arthritis, death within the bone (avascular necrosis), fractures, post-traumatic arthritis, or juvenile arthritis, may necessitate a joint replacement in a patient, sometimes in their teens or twenties. These cases are rare, but they do occur. Osteoporosis is defined as weak or thin bones, which are more susceptible to fracture with only minimal injury. Osteoporosis is most commonly diagnosed in women who are post-menopausal age; however, men can be affected, as well. 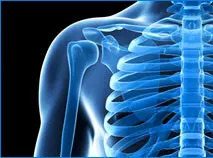 A bone densitometry test can be performed to evaluate how thin your bones are. This is a specialized X-ray that generates a picture by using X-ray beams and detects how much the X-ray beam changes after it has passed through the bones. The change in the X-ray beams’ intensity shows how dense or thin the bones are that are being studied. The three most common sites for bone densitometry test are in the spine, hip, or wrist. 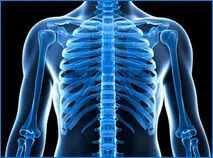 This test is very helpful in assisting your physician to diagnose osteoporosis and implement a treatment plan to build up your bones. 8. What are Synvisc/Hyalgan injections? This is a series of three injections that is used to treat osteoarthritis of the knee. 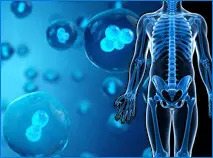 These injections are used to replace the natural chemical hyaluronan that is found in the body in high volume within the joint tissues and the fluid that fills the joint. 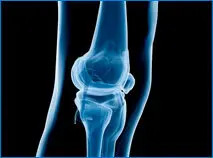 In patients with osteoarthritis, there may not be enough hyaluronan in the joint fluid and tissues; therefore, causing wear and tear on the bones within the joint. The body’s own hyaluronan acts as a lubricant and shock absorber in the joint and is necessary for the joint to operate properly. These injections are most often performed on patients that have not received significant pain relief with the use of medication, physical therapy, or corticosteroids that are injected directly into the joint. 9 . What is plantar fasciitis? Plantar fasciitis is a condition of gradual onset that is most often diagnosed in middle-aged patients who stand for extended periods of time, have high arches and are overweight. The patient will have tenderness over the inside of heel, and on rare occasions may experience localized swelling of the heel area. Various treatments for plantar fasciitis include a decrease in high-impact activities, non-steroidal anti-inflammatory medications, stretching exercises, heel cushions, and appropriate shoe wear. The use of anti-inflammatory medications helps to decrease inflammation in the heel area, as well as, relieve pain. The purpose of heel cushions is to reduce the impact load on the heel. In extreme cases where plantar fasciitis is interfering with the patient’s qualify of life after six months to one year of conservative treatment, surgery is indicated. 10. Which is the best to use following an injury: ice or heat? Most often, ice is recommended for the first 48-hours following an injury, as cold helps to control swelling, as well as pain. The application of heat to a ‘fresh” injury may actually increase swelling as it causes the blood vessels to dilate and increases blood flow to the area, therefore, causing increased swelling. Cold has just the opposite effect. Heat is most often used to decrease muscle spasms. 11. I have had a total joint replacement. Why is it necessary to take antibiotics prior to dental procedures or other surgery? Infection may occur in total joint replacements long after surgery. If the joint replacement is exposed to bacteria in the bloodstream, an infection can occur. It is uncommon for an infection to occur long after surgery; however, it is possible. For this reason, it is recommended that patients who have had a total joint replacement take antibiotics prior to dental or other surgical procedures. 12. What causes a stress fracture? Stress fractures are microscopic fractures of bone resulting from repeated “stress”, and are usually from bearing your own weight. 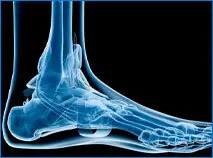 Stress fractures most often occur in the feet and can be caused by trauma or overuse resulting from hiking, jogging or just being on your feet for prolonged periods. A stress fracture is most often too tiny to show up on a routine X-ray, so a bone scan may be ordered for further diagnosis. These types of fractures are most often treated by keeping weight off your foot as much as possible for a few weeks and the use of a hard-bottom walking shoe or sturdy tennis shoe. In some cases, a cast may be applied to give the foot additional support while it heals. 13. What exactly is a ganglion? Ganglions are benign, fluid-filled cysts. These cysts grow from the tendons or the lining around bones and may occur anywhere, but are most commonly seen on the top of the wrist. A cyst is a sac usually filled with thin, watery fluid, but the fluid in a ganglion is a thick, clear jelly-like substance. These cysts may be aspirated (drained); however, they may recur, or they can be surgically removed. Scoliosis is curvature of the spine. This condition can affect adults, but is most common in young people, especially girls between 10 and 16 years of age. Scoliosis is usually detected on school screening exams or by a child’s pediatrician. This is followed up by an orthopaedic examination and X-ray to assess and measure the degree of the curve. The most common type of spinal curves is the “S-shape” and “C-shape”. These curves are measured in degrees and can range from 10 degrees up to 50 degrees. 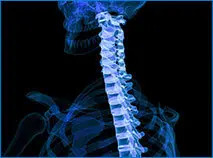 Depending upon the magnitude of the spinal curve, medical treatment may include simple observation, bracing, and, in severe cases, surgical intervention. 15. What is tennis elbow? Tennis elbow is a common term for a condition caused by repetitive use of the arm and forearm muscles that result in pain of the elbow. You don’t have to play tennis to get this, but the term came into use because it can be a significant problem for some tennis players. The medical term for this condition is lateral epicondylitis. Tennis elbow is cause by abrupt or subtle tearing of the muscle and tendon area around the outside of the elbow. Repetitive arm, elbow and wrist movements use to perform activities, such as hammering, vacuuming, and sweeping, as well as movements used by golfers and baseball players, can produce symptoms. This problem is most often treated with rest, nonsteroidal anti-inflammatory drugs, physical therapy, and cortisone-type medications injected into the sore area. Tennis elbow is rarely treated with surgery. Gout is a condition that causes sudden, severe attacks of pain redness and swelling of the joints. Most often, gout affects a single joint in an episode and is commonly seen in the big toe. The cause of gout is due to an accumulation of uric acid within the joint fluid. Uric acid is a substance produced by our bodies to transport waste material, which is usually excreted via the kidneys. When the uric acid level becomes too high, gout or joint pain may occur. Diagnosis may be determined by removing a small amount of fluid from the affected joint to be sent to a laboratory or by a blood test to determine the uric acid level. Gout is usually treated with nonsteroidal anti-inflammatory medications. Allopurinol is a medication that is widely used after an attack of gout to prevent future attacks.